The most common sleeping position is on your side, with you legs and hips aligned and flexed. Because this position leaves your upper leg unsupported, the top knee and thigh tend to slide forward and rest on the mattress, rotating the lower spine. According to the U.K. Sleep Assessment and Advisory Service, which conducted a survey of 1,000 people, approximately 41 percent sleep on their sides in a fetal position. Women are twice as likely as men to sleep this way, as per the results. Sleepy Kneez® is a small pillow that aligns your hips and cushions your knees without the excess bulk, and attaches to your leg to keep it in place all night. The firm pillow comes with an adjustable stretchy band designed for maximum comfort. Sleepy Kneez can also be fitted with our customized HOT/COLD gel pack insert. 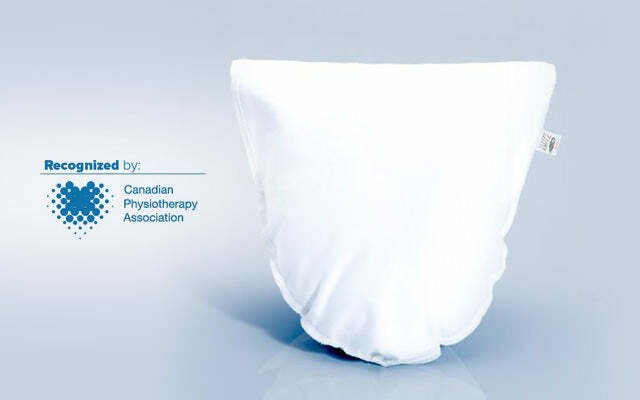 A knee pillow works to help relieve pressure in the hips and lower back and is a helpful tool for anyone who wants extra support for the spine. Sleepy Kneez improves knee comfort, and eliminates pressure on the lower back and hips restoring natural alignment. This unique patented pillow ensures the spine remains in a neutral position, soothing your back and hips as you sleep, and stays in place while you sleep, even if you don't. It improves knee comfort, and eliminates pressure on the the lower back and hips, by restoring natural alignment.